Finally! 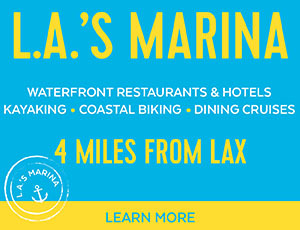 No more worrying about forgetting your loyalty cards, in-store discounts or clip-out coupons. Mobile wallet has made it simple to store all of the digital loyalty and discount coupons on your smartphone! Apple Wallet & Android Pay have brought us mobile and digital marketing. 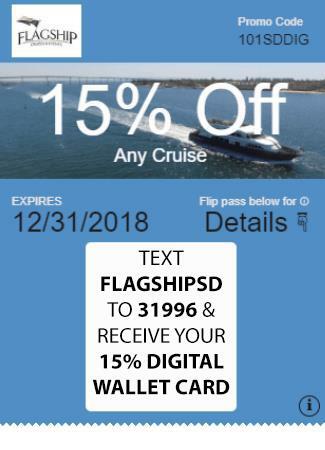 Your mobile wallet now makes it easy for our Customers to deliver their special offers directly to your smartphone wallet via QR codes or simple text me codes like the one below for Flagship Cruises. Just make sure you have added your Android wallet pass from you play store and you are on your way to storing all these great offers right on your smartphone. On iphones the apple wallet is ready to go immediately. 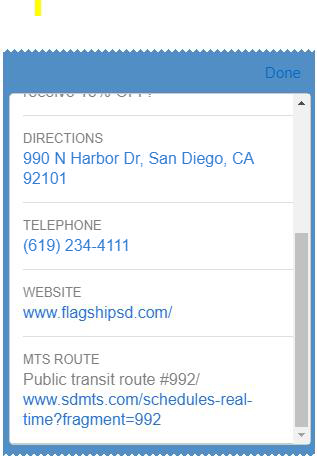 Try texting the word FLAGSHIPSD on your smartphone and send it to 31996. You’ll be prompted to add the digital coupon to your smartphone wallet. Once you have downloaded the coupon you’ll be able to just show this card to our merchants and you’ll receive their fantastic offers. Flip the card over and you have all the contact information you’ll need. The address is highlighted and once pressed automatically launches google maps to give you turn by turn directions to the merchant. The phone number once pressed goes to the automatic dial of the main number. 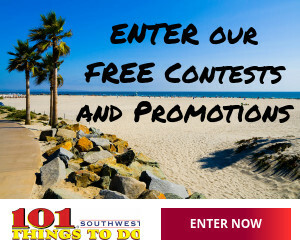 There is a link to the website. There is also a link provided by the local transit system. For more digital savings cards visit our Sister company Visitor Savings and download your coupons NOW!